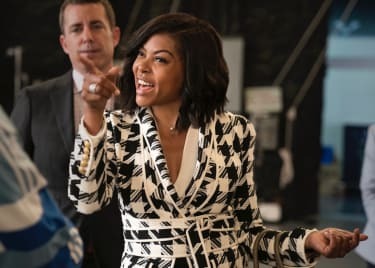 This February, audiences will discover WHAT MEN WANT when the new comedy starring Taraji P. Henson hits theatres. 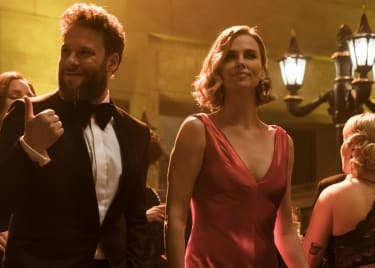 In the new film from director Adam Shankman (ROCK OF AGES), Henson plays a professional sports agent who gains the ability to hear the innermost thoughts of the men around her. If that sounds familiar, it’s because WHAT MEN WANT is a remake of sorts of the 2000 film WHAT WOMEN WANT. That starred Mel Gibson as a man who is suddenly able to hear the thoughts of women. But Henson’s movie isn’t just a cute role-reversal — here’s how it flips the script on Gibson’s flick. The most obvious difference between the two movies (besides the title) is, of course, in the gender-swapping. Instead of a man who can hear women’s thoughts, WHAT MEN WANT (above) is about a woman who can hear the thoughts of men. (The horror!) Taraji P. Henson, best known for her roles in “Empire” and HIDDEN FIGURES, plays a successful sports agent named Ali Davis who often finds herself professionally excluded by her male peers … until she gains the ability to hear their thoughts, giving her an edge in the workplace. In the 2000 movie WHAT WOMEN WANT, Gibson played a sexist executive who is able to hear women’s thoughts following an accident. His new power teaches him that his assumptions about women — including co-star Helen Hunt — are incorrect in a major way. He becomes a kinder and more sympathetic person for it. It’s been 19 years since WHAT WOMEN WANT hit theatres, so why remake it now? WHAT MEN WANT is actually pretty relevant, as we’re seeing more women fight for — and obtain — equality in the workplace. Henson’s character, Ali, works in an industry dominated by men and often finds herself completely excluded from decisions and opportunities because she’s not “one of the guys” — even though she’s just as talented and committed (if not more so) than her male peers. Even worse: Ali’s boss (Brian Bosworth) passes her over for a promotion she clearly deserves. It’s a relatable story for many women who have had to fight extra hard to succeed in workplaces managed and mostly populated by men, who often make twice as much as women do for the same work. There’s been a growing cultural awareness about these issues for years. In 2019, it seems like some progress is finally being made. 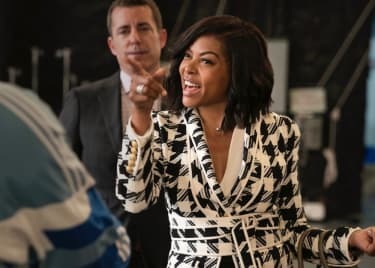 A movie like WHAT MEN WANT might not have been such a smart idea for a comedy 10 years ago, when it didn’t feel like much progress was happening, but now feels like the perfect time. So, when Ali realizes she can hear men’s thoughts, her life changes. Most importantly, she can hear the thoughts of her male co-workers. That tips her off to a potential new client: a rising basketball megastar. Ali uses her newfound skill to outsmart her colleagues, including those played by co-stars Max Greenfield (“The New Girl”) and Pete Davidson (“SNL”), all of whom are racing against the clock to sign the next big sports star. Unfortunately, Ali’s intense new commitment to her career requires more than she bargained for. Her relationships with friends and a new love interest are soon at risk. Will Ali’s ability to think like a man help her succeed like one? We’ll find out when WHAT MEN WANT hits theatres. 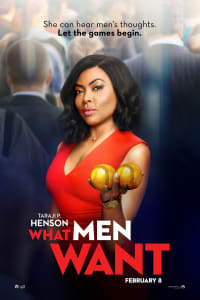 WHAT MEN WANT plays at AMC beginning February 8.